"German Theatre", built by Niklas. Opened 22 October 1869. 1909 renovation. Ca. 700 seats. Front Text: "Pilsen. 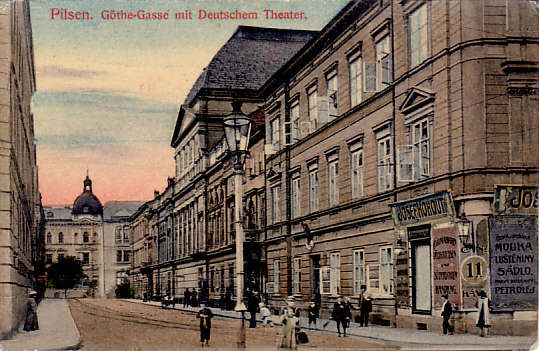 Göthe-Gasse mit Deutschem Theater."